This retrofit kit looks stylish while adding “smart” features, and it’s great for renters because it doesn’t change the lock itself. If you’re not interested (or simply can’t) entirely replace your deadbolt hardware, a retrofit kit is the next best way to add a smart lock to your home. These systems merely replace the interior portion of your deadbolt, leaving the exterior of the door unchanged (and still accessible via your existing keys, which should mollify your landlord). Few smart lock systems are even remotely aesthetically pleasing, but August Home, which was founded only five years ago, figured out from the beginning that consumers aren’t really looking for ugly, industrial hardware to install in their entry halls. The August Smart Lock has clearly been designed from the start with modern, tasteful looks squarely in mind. (This makes sense, considering famed designer Yves Béhar is a cofounder.) In almost any home, the August will look good, an obviously high-tech item that still avoids being too obtrusive. Of retrofit locks we’ve tested, the August is the easiest to install, and the kit does a good job of walking you through the various types of lock hardware you might encounter, including a range of internal components that you mix and match as you install the August to work with your particular lock. 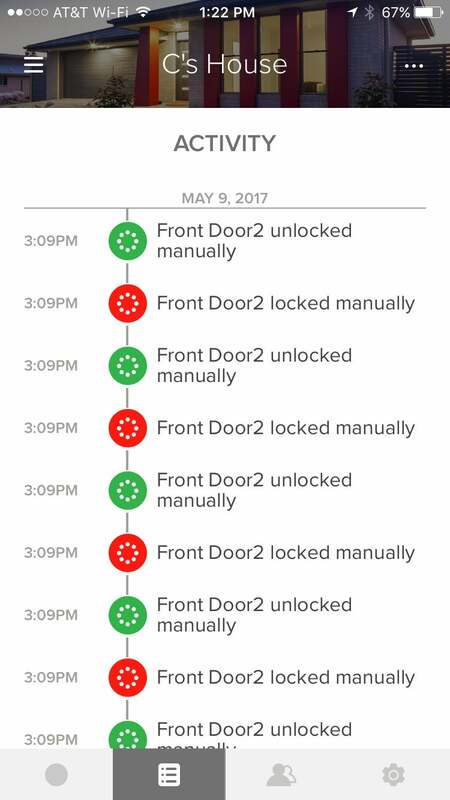 Details will vary based on the peculiarities (and age) of the lock you’re upgrading, but a typical environment shouldn’t take more than 15 minutes to get up and running. The August app taps your smartphone’s GPS to determine whether you’re home or away and can automatically lock when you leave. Once installed, the August app picks up the slack and automatically calibrates the lock (something I haven’t encountered in any other smart lock) and lets you set up your keychain, wherein you specify who can access the lock and when. Setting up keys, either permanent or temporary, is easy and is tied to an invitation that is sent to that user’s cell phone number. On its own, the lock is strictly a Bluetooth system, so each user will only be able to access the door when approaching within a few dozen feet. Not into using the app? 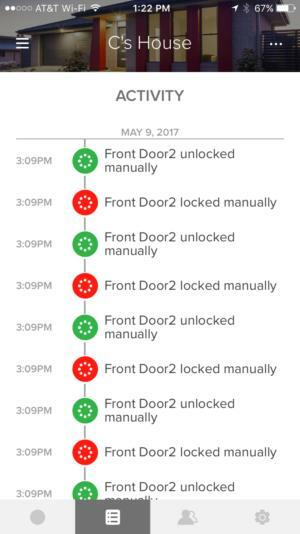 An automation system will automatically take care of locks and unlocks when you come and go from the house, using GPS information to determine when you’ve left or arrived. This is a handy feature that worked well in my testing, but which always makes me a bit nervous, given reports that auto-locking systems are frequently prone to error. My biggest issue was an occasional jam owing to a stiff deadbolt system. 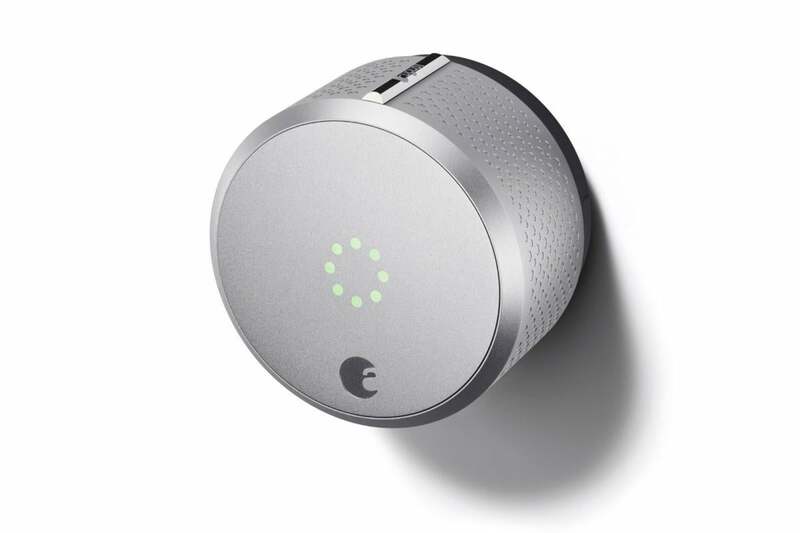 The bottom line: If a retrofit is in order, the August Smart Lock is currently your best bet. The smartest of the retrofit smart lock systems—and the best-looking, too.